Submitting to the predestined will of God, our personal and funeral home family are consoling the remaining loved ones of Ms. Katie Waddell as they attempt to cope with this great loss. The Waddell’s family circle was forever changed early Thursday morning when Ms. Katie quietly went to sleep in the bosom of Jesus Christ while resting at her residence in Bolton, NC. 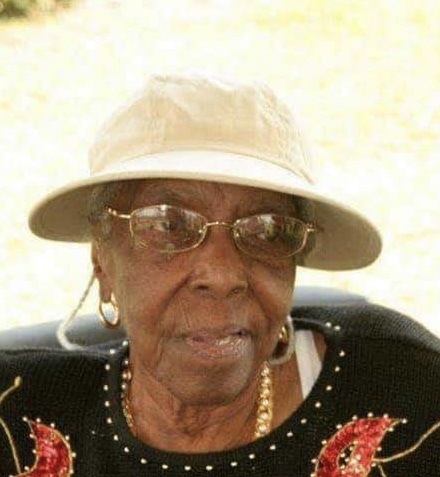 The services that will honor this Virtuous Matriarch have been orchestrated by her devoted family and will begin on Friday evening between the hours of 6pm and 8pm for reflecting moments, while Ms. Waddell lies in a peaceful state of repose in her church Walters chapel A.M.E Zion church 15111 Sam Potts Hwy in Bolton NC. On Saturday a Triumphant Grand Finale remembering this precious jewel will commence at 1pm at New Townsend Temple Church in Bolton. Following the order of divine worship in the sanctuary, Ms. Waddell’s delicate temple along with her adored family will be escorted to the Rest Well Cemetery for Committal Rites. One can only imagine the void Ms. Katie’s family will have doing things that once involved her but all can find solace knowing, that this world was simply a dressing room. Now she has received her glorious crown of righteousness and beautiful custom long white robe and she is walking the streets paved with pure gold awaiting that day when she will see all of her loved ones yet again in glory. Priceless memories will forever be etched in the hearts of so many such as her children: Ruth, Lillian, Bobby, Helen, Tina and Edward Lewis (Sonny boy); her sister Ellestine, as well as a host of grandchildren, great grandchildren, nieces, nephews, cousins other relatives and friends. The family is receiving love and encouragement through visits and calls at the residence located at 136 Old Hwy 211 in Bolton, where they will also assemble in preparation for the Prestigious Majestic Ebony Motorcade. The Compassionate Professionals at Majestic Funeral Homes are humbled to be a part of this precious family and serve them with uncompromising dignity and love during this difficult time.